And I'm not just saying that because my boyfriend, Justin Timberlake, is in it. The script is smart, the story grabs you from the very first scene (which I adored), and the characters are nuanced and brilliantly multi-dimensional. 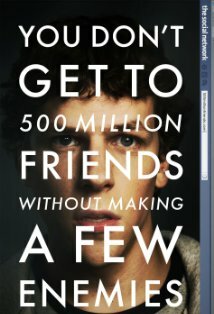 Whether it's true or not, The Social Network is an entertaining piece of film. For a more in depth and really fantastic review, check out Ashley's take on the movie over at She's Come Undone.